The undersigned organizations write with concern over the criminalization of freedom of expression and international solidarity in Peru. 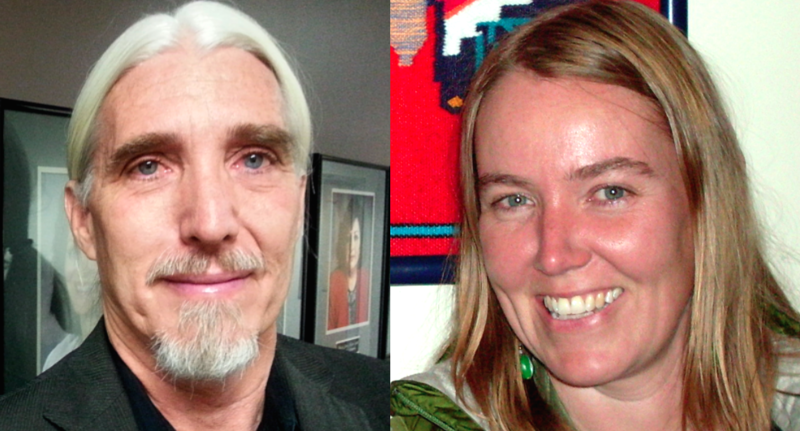 In particular, we are alarmed following the harassment and the illegal and arbitrary detention of MiningWatch Canada’s Latin America Program Coordinator Jen Moore and US journalist and filmmaker John Dougherty between April 18 to 23, 2017, as well as their subsequent prohibition from entry to Peru for an indefinite period. We urge you to take all measures necessary to stop this process of criminalization, including to lift the migratory alert that impedes their reentry to Peru and to prevent such a situation from occurring again against them or others. The detention of Ms. Moore and Mr. Dougherty took place following a public screening of the documentary “Flin Flon Flim Flam” about Hudbay Minerals’ operations in the Americas. This was preceded by defamation in the press, harassment, and police surveillance. On April 22 in the morning, hours after being detained by police and before having the opportunity to defend themselves, Ms. Moore and Mr. Dougherty were publicly incriminated on the website of the Ministry of Interior of having incited local residents to rise up against mining and of being a threat to public order, implicating them in a series of violent acts in which they did not participate. By acting in this manner, the Peruvian authorities violated the rights of the two researchers to freedom of expression, privacy and due process. Fearful that they could become victims of further arbitrary abuses from Peruvian authorities, the two voluntarily left Peru on April 23 with plans to continue the process through their legal counsel in Peru. This same day, without any notification or due process, the Superintendent of Migration imposed an indefinite migratory alert against their reentry to the country, outrageously de- termining that showing a film about mining constitutes a threat to public order in Peru. This process of criminalization is not just a violation of the right to freedom of expression of the two researchers, but also a collective rights violation, considering the fundamental connection between freedom of expression and the exchange of information and communication. In this regard, it is the right of local communities living near Hudbay Minerals’ mine, as well as the general public in the cities of Cusco and Lima, to be able to access available information about the negative impacts of mining. We believe that the stigmatization in the press and by a public authority, police harassment, illegal and arbitrary detention, and prohibition from entry to Peru of the two researchers are the result of two factors: 1) the privatization of the public security apparatus in Peru; and 2) Hudbay Minerals’ apparent attempt to exert control over what information communities living around its Constancia mine have access to. With regard to the former, on May 8 of this year, the company publicly confirmed that the national police has a contract with Hudbay Minerals’ Peruvian subsidiary to provide it with security services. This contract subordinates the police to the company and its security needs, creating a serious conflict of interest with their public service role. Representatives of the Inter American Commission on Human Rights acknowledged this at a hearing on this subject in Buenos Aires on May 25, during which Commissioner Margarette May Macaulay stated that contracts between police and private companies should be abolished. On July 19, 2017, the UN Working Group on Business & Human Rights also expressed concern over these contracts after a visit to Peru, noting that they create confusion over the role of the police to first and foremost protect public security, and further undermine confidence in this state institution. With regard to the latter, while Hudbay has publicly denied having lobbied Peruvian authorities to respond in its favour in this case, the rapid public response of the Minister of the Interior and its explicit expression of support for the company’s interests immediately following Ms. Moore and Mr. Dougherty’s arbitrary detention indicates an unusual level of interest on the part of the Peruvian state in their situation. Furthermore, based on earlier available versions of Hudbay’s contract with police for 24-hour security in the area of its Constancia mine, it is possible that police were obliged to detect and respond in coordination with Hudbay’s personnel to the presence of Ms. Moore and Mr. Dougherty. In addition to other potential involvement, Hudbay personnel were reported to have questioned local community leaders about the film screenings during the days before their detention. Given the above, the undersigned urge that you take all measures necessary to stop the criminalization of the MiningWatch worker and US journalist, that you order the migratory alert against their reentry to Peru be lifted, and that a full public rectification be published on the Ministry of Interior’s website, and all false accusations against the two be removed. Additionally, we urge you to take all necessary measures to prevent future police surveillance, harassment, arbitrary detention, and criminalization against them and any other researchers, academics, journalists, public speakers, and human rights defenders. Finally, it is vitally important that the privatization of police services and the public security apparatus be brought to a halt, in follow up to the statements of concern made by the IACHR, since it only serves to facilitate the criminalization of dissent in particular in areas where communities are in conflict with extractive industry projects that put them at risk. 16. Center for International Environmental Law (CIEL), U.S.
36. The Democracy Center, Bolivia/U.S. 45. Forest Peoples Programme, U.K.
49. Institute for Policy Studies, Global Economy Project, U.S.
50. Instituto Mexicano para el Desarrollo Comunitario AC. This entry was posted in News from ICLMG on 23 November 2017 by ICLMG CSILC.